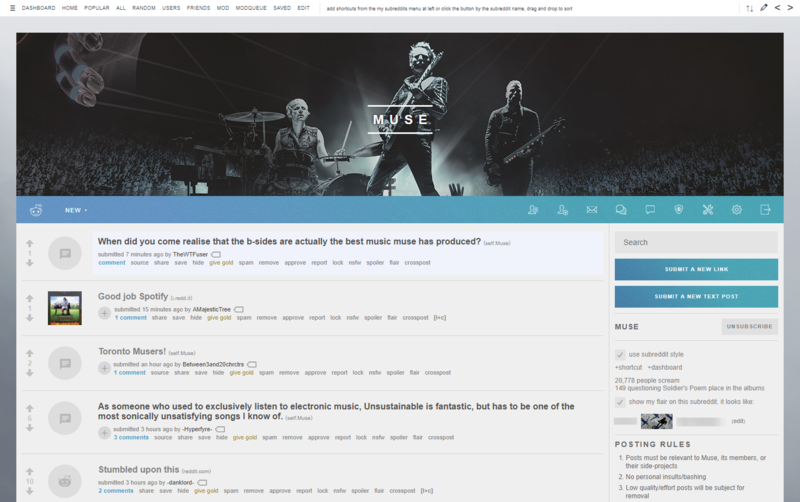 Reddit allows to create communities around your interests, and as I am a fan of Muse, I decided to give myself the task of redesigning for Muse sub-reddit with a theme that no other community really had, which would be then seen by 20,000+ subscribers of the community. 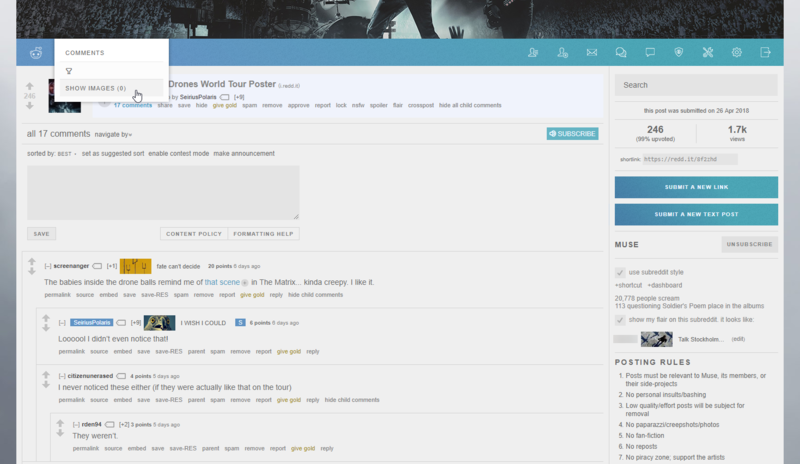 Reddit allows custom CSS and images for sub-reddits, which enables users to do some creative CSS hacks to use for their theme. 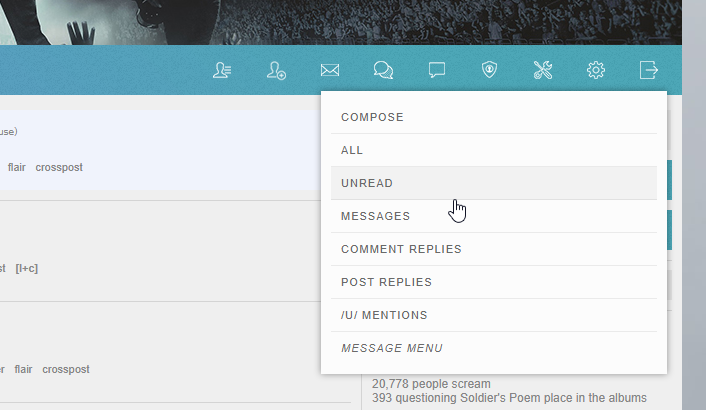 The styling I did isn’t original, but is a converted and modified version of dark version of this theme. Original theme was /r/apicem, but since Reddit by default uses light theme, it made more sense for redesign to be in light colors. The original theme was only available in a minified CSS through a .zip download, no GitHub repository. The CSS file was brought up and partially converted to SCSS, while bringing out colors into separate variables for easier color conversion. 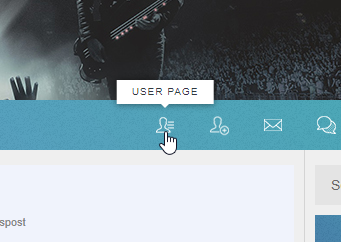 Because the styling needed to be done on a remote web-site, where the user is most likely to have Reddit browser extensions installed that adds additional site elements, I created a development setup where my local style changes were instantly reflected on the sub-reddit without modifying the actual current styling on the sub-reddit for other people. This also enabled me to test the theme on current content (posts, comments and information were actual real data).